Using affordable home ownership as an anchor for hope, change, and stability, Tacoma/Pierce County Habitat for Humanity has been building homes in the community since 1985. TPC Habitat is committed to transforming neighborhoods—fighting blight and advocating for fair and just housing policies—while increasing access to affordable homeownership for hard working families and providing access to resources so homeowners can improve their communities. Tacoma/Pierce County Habitat for Humanity is an independent affiliate of Habitat for Humanity International, a global, nonprofit housing organization that seeks to put God’s love into action by building homes, communities, and hope. TPC Habitat has an annual operating budget of $5.5m and employs 28 FT and 12 PT staff as well as 5 Americorps Volunteers. · Robust global village program. Reporting to the Chief Executive Officer (CEO), the Chief Development Officer (CDO) is responsible for designing and directing a comprehensive and results-oriented development plan that increases revenues to support the mission, vision and strategic direction of Tacoma/Pierce County Habitat for Humanity. Key components of this position include setting goals, pursuing strategies, managing staff and timetables for Habitat. The CDO spends a significant amount of time and attention on securing major gifts and legacy gifts, and improving awareness, understanding and support of Habitat among key stakeholders. In addition, the CDO is accountable for all marketing and communication initiatives to include promotional materials, website and social media, as well as overseeing the Community Engagement staff responsible for volunteer coordination. The CDO directly supervises three (3) FT and one (1) PT team members, as well as one (1) AmeriCorps volunteer in the Resource Development Department, and serves as a member of the affiliate’s senior leadership team. TPC Habitat is a progressive employer and is committed to a policy of equal employment opportunity for all. TPC Habitat and SQR2 Consulting embrace diversity of thought and personal experience, and encourage members of underrepresented groups to apply. For immediate consideration, please complete the brief application here. 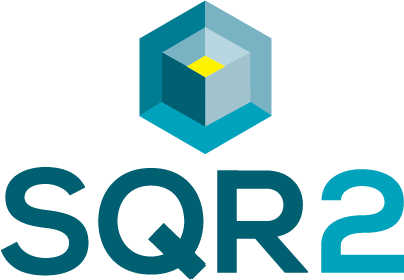 Alternatively, you may send a cover letter of no more than two pages and a resume to Mr. Ed Rogan, Principal Consultant, Square Two Consulting at ed@sqr-2.com. You may direct your questions to Mr. Rogan via email or by calling 206.697.8428.